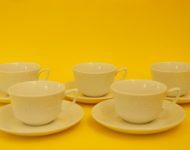 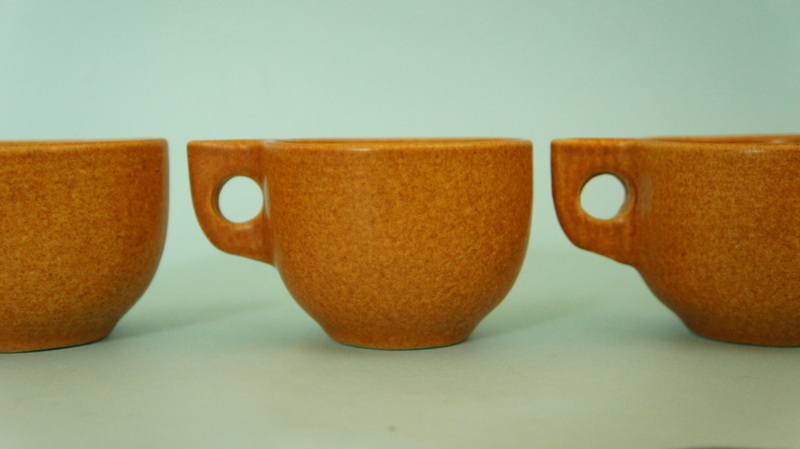 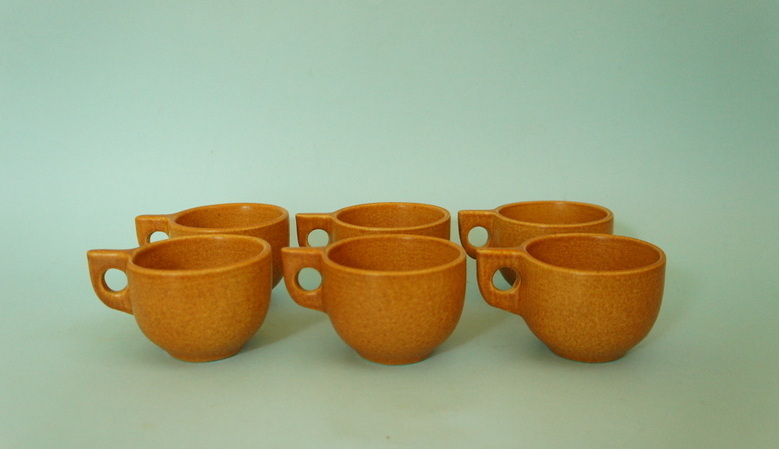 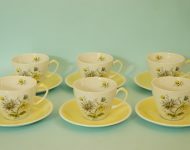 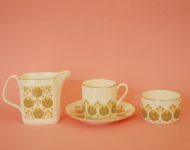 Aside from the fact that they’re South African, I’m afraid I can’t tell you anything about this fabulous set of retro teacups! 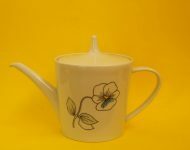 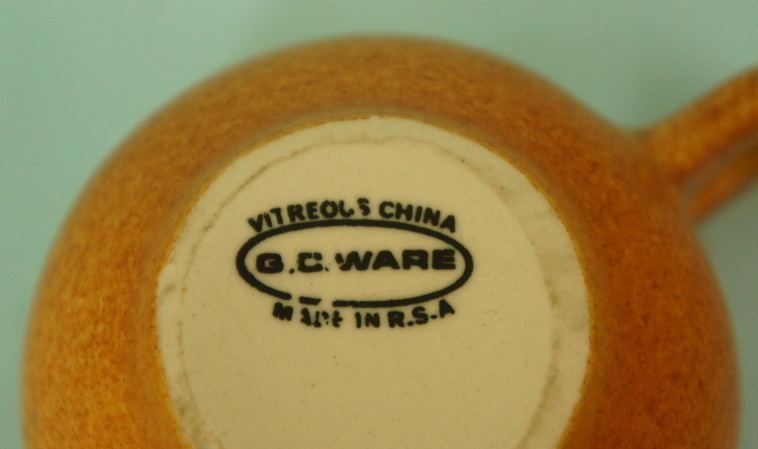 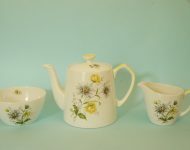 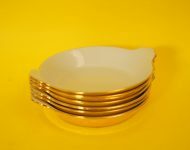 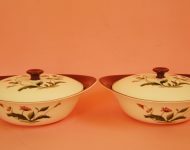 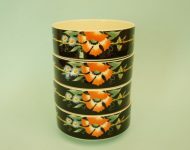 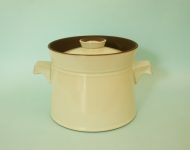 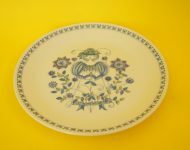 I know that I’ve come across the name GC Ware before, but for the life of me I can’t remember anything about the company, and I can’t seem to find any info online either! 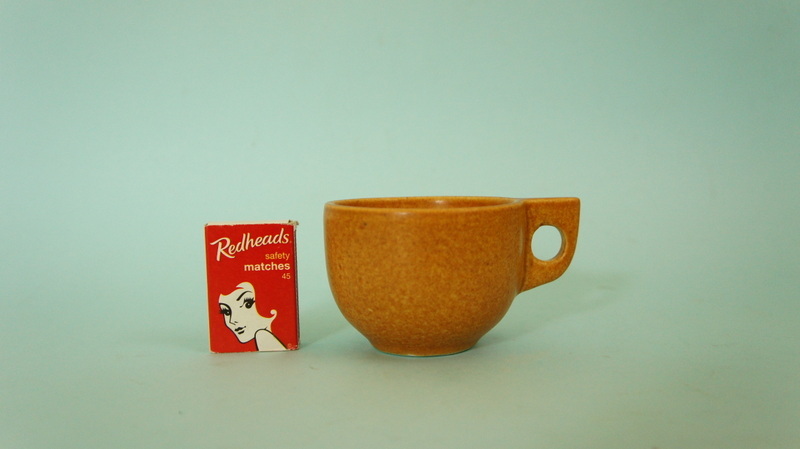 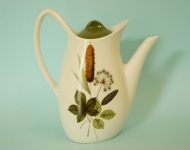 But it’s clear that they’re retro in design – that teeny handle gives them away, as does that mottled matte glaze. 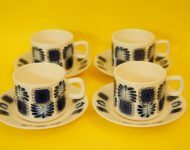 I know they won’t be for everyone – they’re quite chunky and maybe a bit too retro for some people, but personally I think they’re rather stylish!